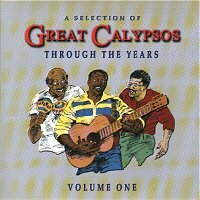 Only a superlative can describe this eclectic calypso compilation. Excellence. Of course one can write a Ph.D. dissertation, or twenty, for all the depth embodied in these compositions. A Selection is a Who's Who: There is Kitch, along with him is Melody, Maestro, and Shorty, Terror, Sparrow, Stalin, Sharpe, Shadow, and Rudder. It is also a What is What about the West Indies: Calypso and pan - Len Boogsie Sharpe and Felix Caesar; national identity and patriotism - Stalin and Sniper; social dysfunction and citizenship - Melody and Sparrow, and miscegenation - Dougla. All said on one compact disc - 55 minutes 55 seconds of it.